Want a gluten free/ vegan friendly toast that packs in vitamins, minerals, and fiber? 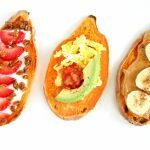 Next time you make toast, reach for a sweet potato and try my Breakfast Sweet Potato Toast 3 ways! 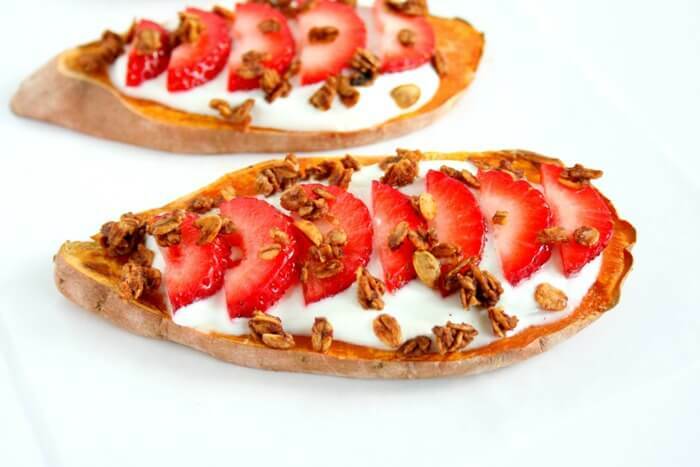 Sweet potato toast has been the most recent food trend popping up all over social media. Just as versatile as toast, but adds an additional level of nutrition. Plus the sweet potato color is so vibrant and the toppings are endless! I chose to top my toast with breakfast toppings, but they could easily be served for lunch, snacks, or served with dinner. 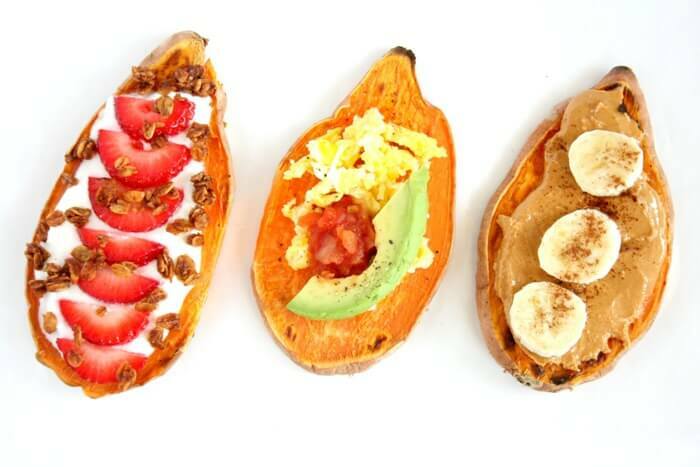 My breakfast sweet potato toast 3 ways satisfies all of the breakfast lovers out there. 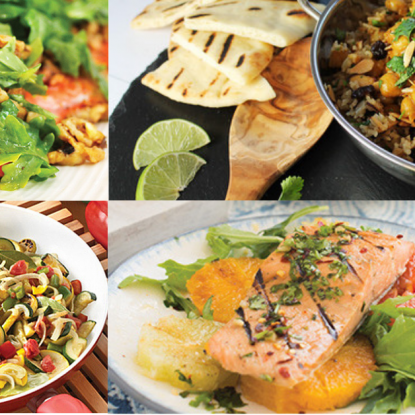 Sweet, savory, nutty, creamy, tart, tangy, and spicy! 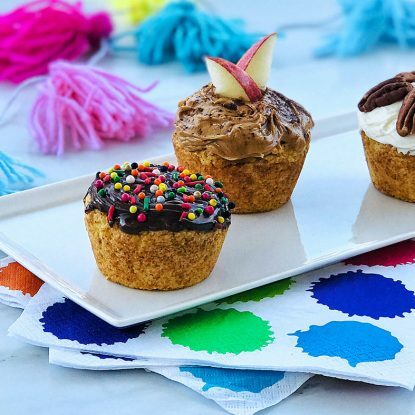 There is a flavor for every taste bud! Carefully slice off one edge of a sweet potato. This will help it lay flat as you slice. 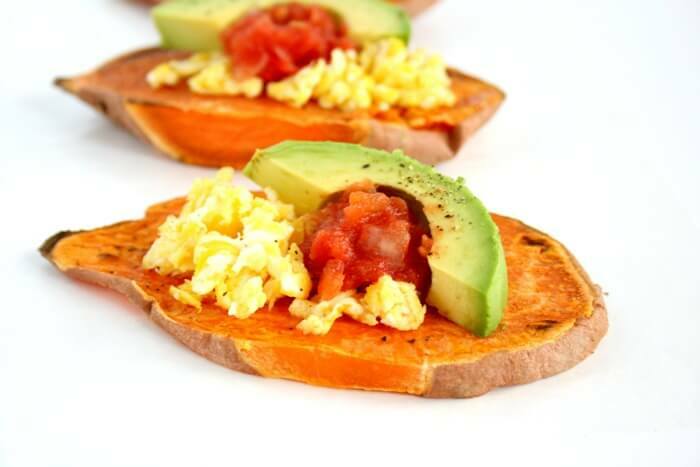 Slice sweet potato into rounds that are roughly ¼ inch thick. 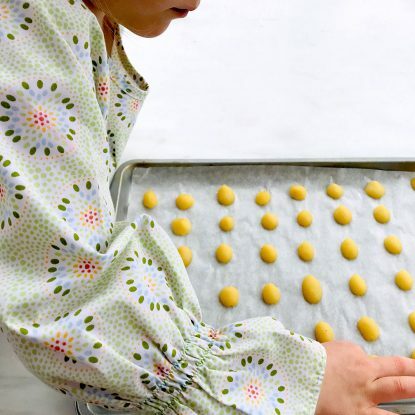 These look great Holley! Love the fun combos. 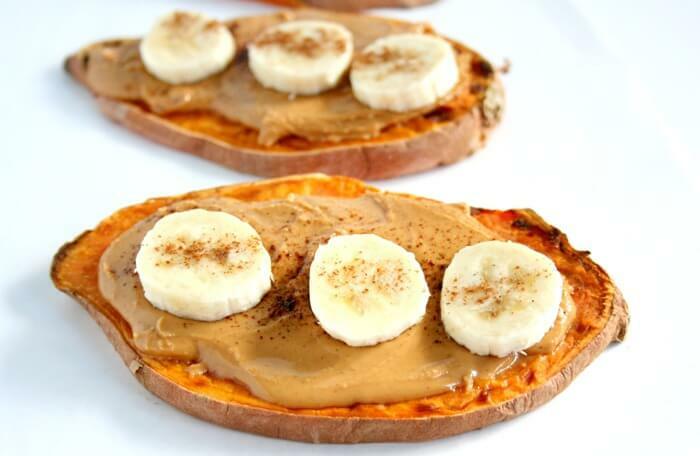 Still haven’t tried Sweet potato toast. Need to get on that! Thank you! It is so yummy!